Vancouver Island’s west coast is famously wild. On the churning Pacific coastline of British Columbia, the Pacific Rim National Park Reserve features the sandy beaches of the national park’s Long Beach Unit, over 100 sheltered islets of the Broken Group Islands popular for kayaking expeditions, and the 75-kilometre multi-day West Coast Trail. 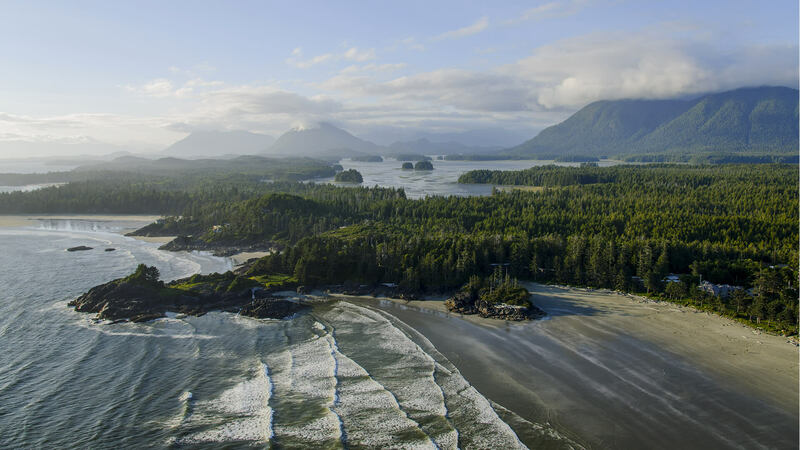 Tofino and Ucluelet are popular destinations, particularly for surfing, whale watching, and beach explorations. Explore the life and culture of the laid-back surf town Tofino on Vancouver Island's west coast with our Instagrammer of the week, @jeremykoreski. The surf town of Tofino and rugged Ucluelet can be reached via Highway 4 across Vancouver Island. Port Alberni is a central hub for exploring the island, and it’s a town rich in culture and heritage. The Pacific Rim region is known for its ancient rainforest, abundant marine life, and ferocious winter squalls. It’s where the storm-watching trend originated. Tofino is a popular place to learn how to surf, and it has become a culinary destination for its fresh-off-the-boat seafood.